Whilst many people would probably be familiar with the Carlsberg advertising slogan from earlier days they may not appreciate the history and scale of today’s Carlsberg brewing operation. Founded in 1847 it is now the fourth largest brewery in the world producing 2.2 million hectolitres of beer annually, employing around 45,000 staff worldwide and selling around 120 million beers globally every day. Sensing and instrumentation specialists BAUMER have been supplying Carlsberg with instrumentation for more than 10 years, initially for the beer production lines in their plant near Copenhagen and more recently to a new production and distribution centre in Frederica. Yeast is an essential ingredient of the brewing fermentation process where it is used to convert the glucose in the wort to alcohol and carbon dioxide gas, giving the beer its alcohol content and its carbonation. However, yeast foam can be a problem in terms of accurate and reliable level measurement and this is where Baumer have helped Carlsberg to solve a problem with yeast residues occurring within the fermentation process thanks to their CleverLevel switch. When fermentation is nearly complete (a process taking around 4 to 6 days) most of the yeast will settle to the bottom of the fermentation tank. It is then removed and reused for several fermentation processes before finally being stored in an excess yeast tank and sold off as animal feed. In this final stage of filling the excess tanks Carlsberg experienced overflow problems due to the heavy build-up of foam which was preventing triggering of the traditional level vibrating forks installed in the tanks. 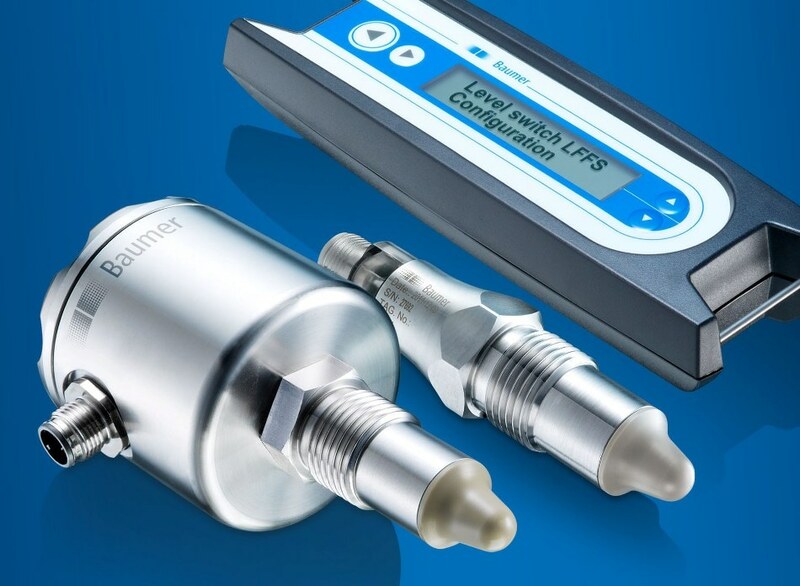 The solution provided by Baumer was the Cleverlevel switch for detecting the filling level in the yeast tanks. It utilises frequency sweep technology and is a universal level switch for all types of media. The CleverLevel device technology is effective regardless of whether the media is wet, dry, sticky, or in this case is foam - as opposed to a traditional fork device which simply cannot recognise the condition of the media. Lone Højbjerg Petersen, Maintenance Coordinator at Carlsberg said, “The CleverLevel switch has solved the problems we were experiencing with overflow in the excess tanks due to its unique and easy configuration options. We are now considering using the switch in our CIP (Clean-In-Place) caustic tanks, where we experience similar issues with foam and overflow”. The change from using traditional level fork devices to the CleverLevel switch has completely eliminated the problem of overflow in the excess tanks with the added benefits of a more environmentally friendly solution. There has also been a cost-saving benefit to Carlsberg due to process optimisation and reduced maintenance. The Baumer CleverLevel switch is maintenance-free due to the minimal installation depth of 15mm and the self-draining sensor tip. It also approved to both 3A and EHEDG standards and can be configured visually and easily via the dedicated software and the FlexProgrammer. The switching range can be adjusted as required to ignore foams during maximum or minimum monitoring. This function can also be used when the level switch is supposed to ignore adhesive substances, for example in tanks with liquid chocolate even when the tank is empty and the sensor and tank wall are covered with chocolate.